About one quarter of the earth's population is Muslim--with Muslims spread in most every country around the world. Although I am Christian and living in a Muslim country, I have had many spiritual experiences talking to my Muslim friends about their beliefs and yearnings. They have taught me what it really means to embrace and love a stranger in a wilderness. To see their devoutness and discipline as they pray five times a day inspires me--even when it means stopping on the side of the road and putting their prayer rug down in the sand to kneel on. 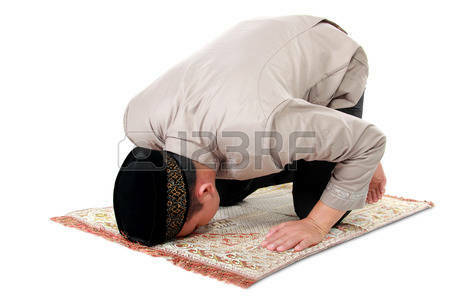 My Muslim friends pray for me, sometimes every day, and always when they go to Mecca. I tell them I can feel their prayers, and I hope they can feel mine. Ramadan happens in the ninth month of the Islam calendar when you see the first glimpse of the crescent moon--the emerging new light. This year in 2017 the crescent moon occurs on May 26, and then a few hours later at 3:09 am, the first call to prayer of Ramadan will start. Children and families look to the first moonlight on that night, the symbol of a new radiance and enlightenment. The month of fasting and prayer is meant to be a new beginning, not only in the sky, but in a Muslim's heart. Ramadan's purpose is to have an inner spiritual journey--shedding negative habits--letting new light infuse your soul. It is required of Allah for all those who can fast to do so--of course not for small children, the elderly, or people with health conditions. Most of the time, children begin to fast with their parents when they begin puberty, but sometimes children voluntarily want to fast earlier. Water and food are abstained from for about 13 hours, from the first prayer early in the morning called suhar, which is before sunrise. 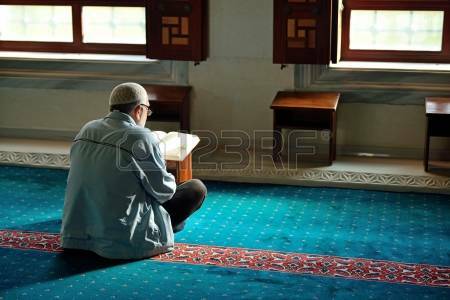 Therefore, if the suhar prayer begins at 3:09 am, a small meal is eaten before the prayer. The children wake up and eat with their family, and then the first of the five prayers is offered for the day. It is still dark outside. But it is said to the children that when they can tell a difference between a white thread and a black thread, the fast has begun. The new daylight has dawned. For example, on the first day of Ramadan, the prayer schedule will be at these times: 3:09 am, 1:05 pm, 5:23 pm, 9:15 pm, and then 10:28 pm. When the sun sets, people will reach for some dates, and maybe some soup before the iftar meal. Many will go to the mosque. After the last prayer, then a huge meal is spread out for family and friends to partake. It is called the iftar meal because the last prayer is the iftar prayer. People still go to work and school during the month of Ramadan when they fast. Praying five times a day is part of my every day rhythm--hearing the imman call to prayer. Fasting is intended to bring Muslims closer to Allah. It requires immense self-restraint, discipline, patience. But also it is a time to share blessings with those who are poor or living in difficult circumstances. Ramadan is to sharpen inner spiritual traits, but then show selflessness and compassion outwardly to those who have less. One of our friends from Turkey said he always gives many sheep to people for their Ramadan feasts who live in meager conditions. As he looks over the past year and recognizes his blessings when he fasts, he then naturally wants to give and share his abundance. As Muslims fast, it reminds them of others' suffering, They want to give to charities and those whom they know are less fortunate. 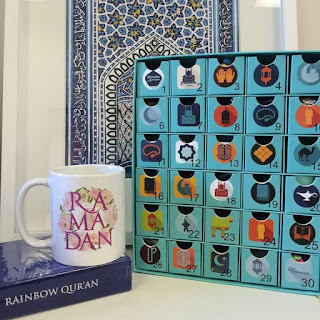 During the month of Ramadan, many people read the 6,000 verses of the Qur'an, preferably reciting them by heart (You would be surprised at the children in my compound who can recite page after page of the Qur'an. They prepare all year long). The Qur'an is studied more deeply this month, thus adding to the deeper spiritual experience. Arguing, gossiping, swearing, and anger are reigned in. Forgiveness is sought after by those who may have wronged another. One Qatari friend in his 60's told me that his sister was upset at him for a year. She would not speak with him. But two weeks ago, to prepare for Ramadan, she called him on the phone. She apologized, and said she wanted to visit him at Ramadan and Eid. If she fasted for 30 days, and still did not have kind feelings for her brother, then her connection to Allah during Ramadan would be void. Her efforts would amount to nothing. She choose to reconcile her family relationships so she could have a light-filled Ramadan. Controlling one's emotions and thoughts-- connecting with Allah--is of paramount importance. With fasting and devout prayers, there are new resolutions and reflections to be better--to change inwardly, and then to give with new compassion. 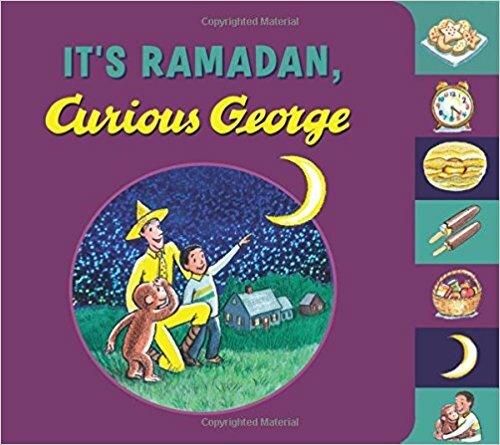 When I asked my neighbor children what Ramadan means to them, they said, "For ten of the days of Ramadan, there is one single night when the water is smooth on the ocean. That is the night when any of our bad deeds we might have done during the year disappear.. That is the most important night." I guess all the light is gathered in that night. I am so grateful to live in a Muslim country at this time in my life. 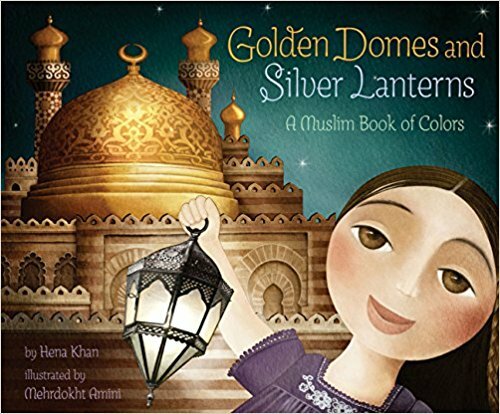 I hope I am growing some light too--next to my Muslim brothers and sisters. What beautiful symbolism - the emerging new light of the crescent moon. I've always loved finding the word "light" in the scriptures and the images associated with it.